A very happy new year to you all and welcome to the first new Irish podcast for 2013. 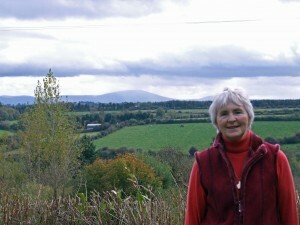 On this months showcase we highlight 2 programmes from our series ‘The Writer’s Passage’ the first featuring Tommy Sands from his book ‘The Songman’ and secondly Alice Taylor from her book ‘To School Through The Fields’ that Alice in a photograph we took of her at her homeplace looking back across the fields though which she travelled. We also have poetry from John Walsh and music from Colum Sands and Ursula Connolly. If you are new to the web you can click on the coloured writing to be taken directly to the page featured, you might also like to join us on Facebook where we will keep you posted everytime we upload a new podcast, regular and experienced web users are also welcome and might also get the same information from our RSS feed. This entry was posted on January 8, 2013, 4:35 pm and is filed under News, showcase. You can follow any responses to this entry through RSS 2.0. You can leave a response, or trackback from your own site.